2017 Standard Catalog of Firearms. The Collector's Price and Reference Guide 27th Ed. Blue Book of Tactical Firearms Values. 4th Ed. Gun Digest 2015 69th Ed. Gun Digest Book of .22 Rimfire 2nd Ed. Gun Digest Book of 9mm Handguns 2nd ed. Gun Digest Book of Assault Weapons 7th ed. Gun Digest Book of Combat Handgunnery 6th Ed. Gun Digest Book of Firearms Assembly/Disassembly: Vol III: Rimfire Rifles 3rd Ed. Gun Digest Book of Long-Range Shooting 2nd ed. Gun Digest Book of Tactical Weapons Assembly/Disassembly 3rd Ed. Gunfitting. The Quest for Perfection for Shotguns and Rifles. 2nd Ed. HS Raids 37: Le Pistolet au combat OFFERTA! Standard Catalog of Military Firearms. The Collector's Price and Reference Guide. 8th Ed. Tactical Pistol Shooting 2nd ed. Your Guide to Tactics and Techniques that Work 2nd Ed. VHS Combat Riflecraft. The Ultimate Guide to Equipping, Handling and Firing the Combat Rifle OFFERTA ULTIMA COPIA ! VHS Jim Cirillo. Modern-day gunfighter. Everything you ever wanted to know about gunfighting by a guy who put his life on the line to find out OFFERTA ULTIMA COPIA ! VHS Manstoppers. Selecting the right double-action pistol OFFERTA ULTIMA COPIA ! VHS Martial Marksmannship. 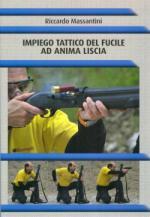 A fighter's guide to Close-quarters handgunning OFFERTA ULTIMA COPIA ! VHS Shooting for keeps. Point shooting for close-quarter combat OFFERTA ULTIMA COPIA ! VHS Ultimate Sniper VHS - OFFERTA ULTIMA COPIA! Warman's World War II Collectibles 3rd Ed. Identification and Price Guide 2nd Ed.